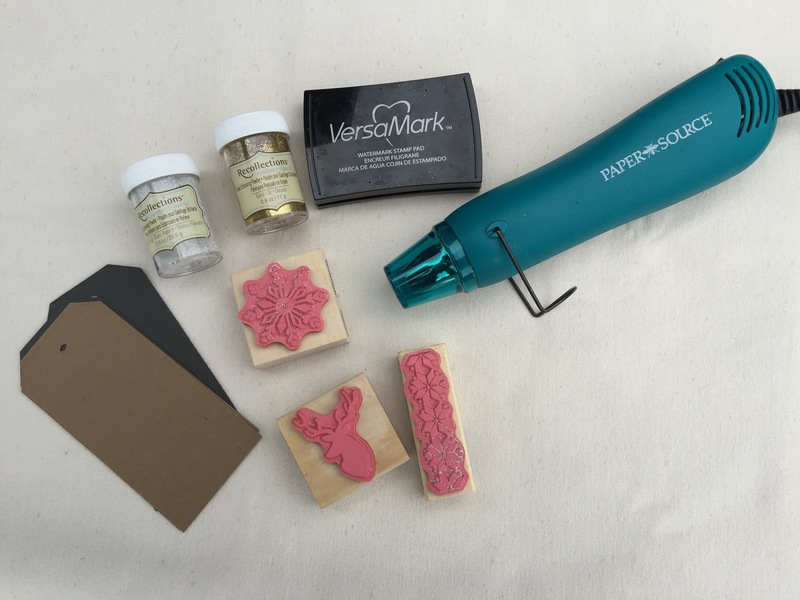 Using a watermark stamp pad, apply ink to your stamp of choice. Press firmly on your tag. When it comes to heat embossing, using stamps gives images clean, crisp edges. Handwriting or drawing can be a little tricky, especially since the ink from the pens tends to dry more quickly than the ink from the stamp pad. Experiment with it! Cover your design in embossing powder and shake off the excess. If you are using more than one color, apply one color at a time and shake off the excess in between colors. 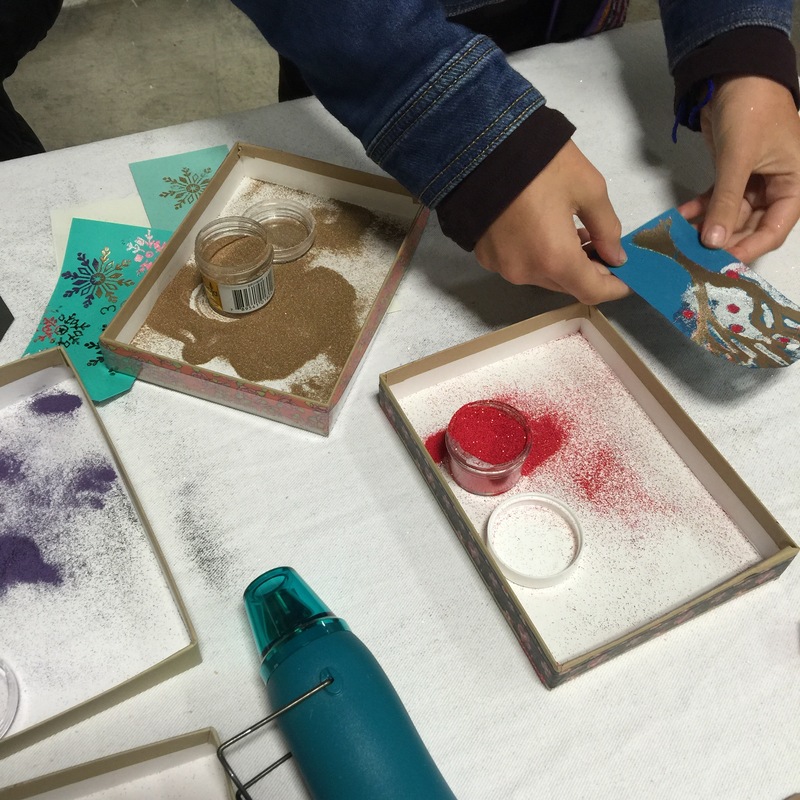 You can reuse the extra powder (it’s just like using glitter!). 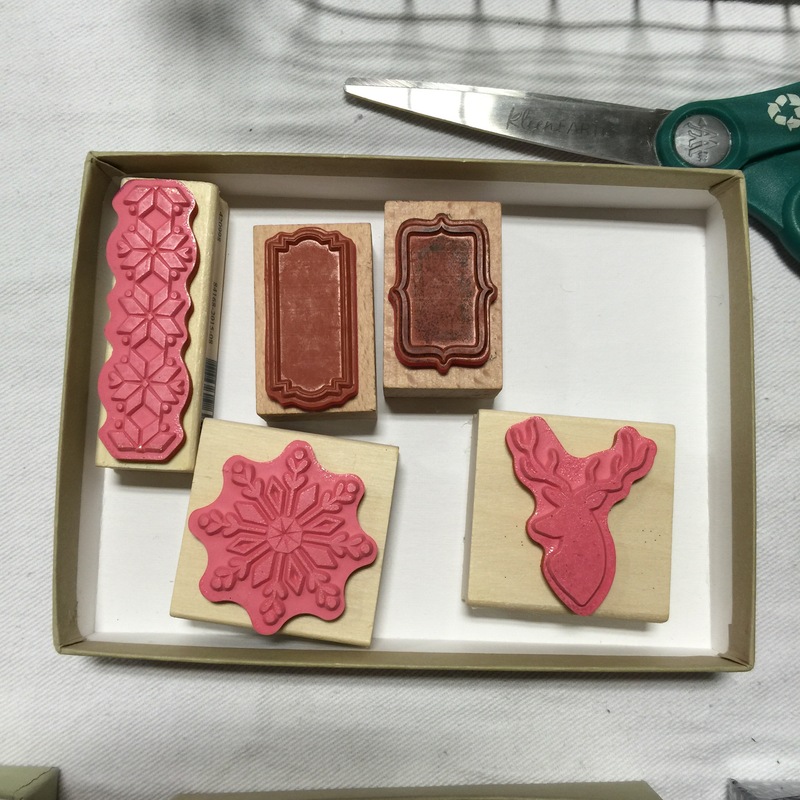 Apply heat with the embossing tool. Careful, it gets really hot! 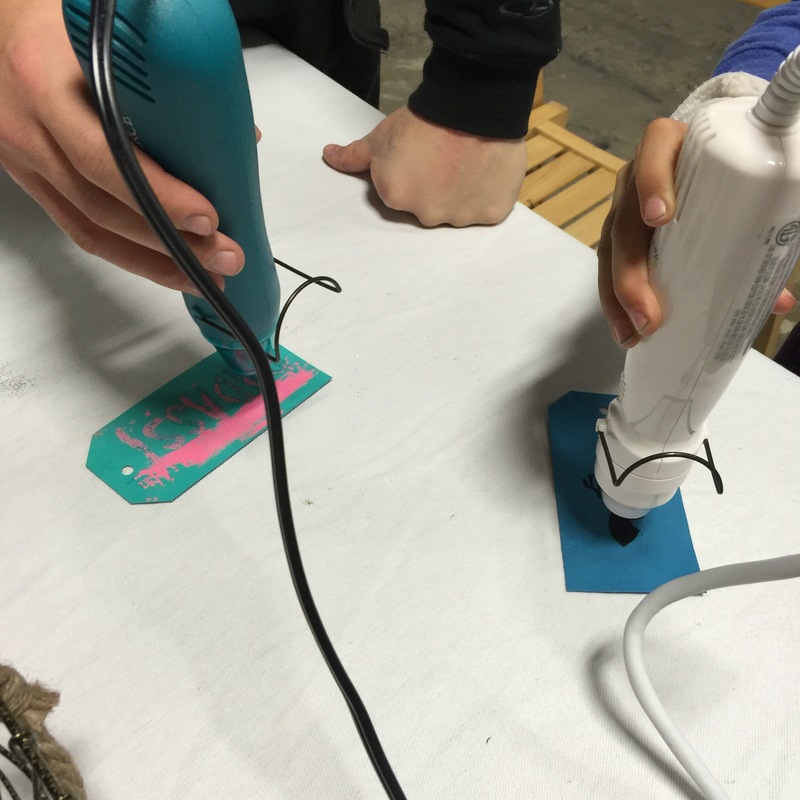 Hold the tool about an inch from your tag and slowly move the heat all over the stamped image. You will know when it’s done when the powder stops changing texture. If your tag warps, turn it over and heat the other side. You can also flatten it out by curving/bending the tag. Complete your tag with twine/ribbon of choice. Check out these tags made by some of my booth visitors. Get creative with mixing and matching stamps, adding multiple colors, or creating washi tape accents. 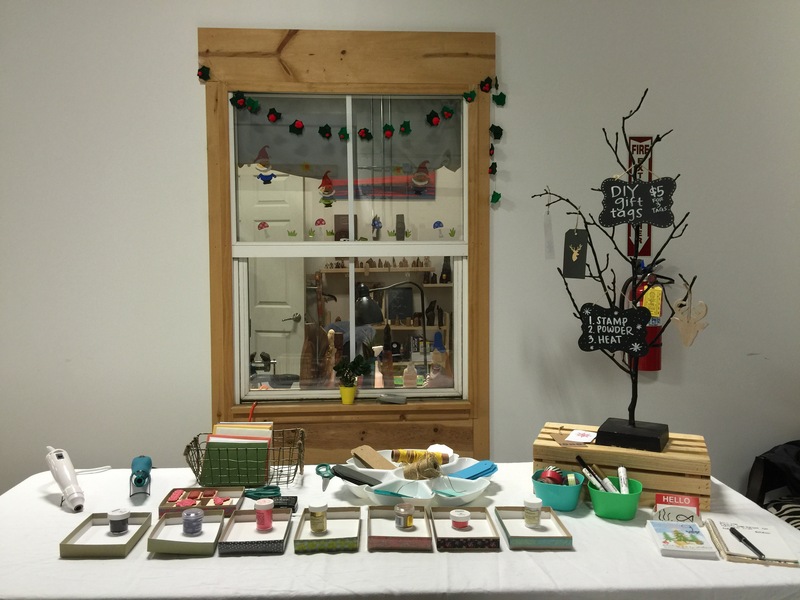 What have you been creating this holiday season? Share below! Next Postgarcia garden: winter edition.